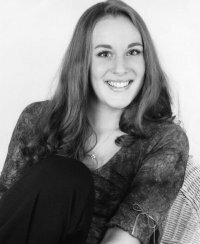 Amanda graduated with a Bachelor of Arts degree in Psychology from Goucher College in Towson, MD where she studied dance therapy and volunteered with the Goucher Disability Initiative. Her experience includes working as an Independent Living Specialist and Travel Training Program Director for The IMAGE Center for People with Disabilities; enjoying four years as an autism therapist specializing in Applied Behavior Analysis through Autism Outreach, Inc.; assisting in a multiple intensive needs curriculum in the Anne Arundel County Public School system; and assisting with the Magical Experiences Arts Company at the Maryland School for the Blind. She also formerly acted as the Creative Movement Instructor at Karina Association, Inc.
Amanda received a Governor’s Citation for her work in the Walter Sondheim Jr. Nonprofit Leadership Program, where she worked at Fells Point Main Street as an Arts Intern. She also formerly worked as a theater publicist and has experience booking and promoting local music acts in Annapolis, MD. Amanda grew up as a dancer, theater performer, singer and actress in various roles, including working at the Walt Disney World Resort in Orlando, FL; Six Flags America in Largo, MD; and local dinner theater. Amanda also had the opportunity to study alongside the Radio City Music Hall Rockettes in an intensive program in New York City. She performed classic works by Doris Humphrey and studied Liz Lerman’s Critical Response Process while at Goucher College. Additionally, Amanda has instructed and choreographed for the Children’s Theater of Annapolis and Anne Arundel Community College. Amanda’s great passion in this world is working with people with disabilities within the arts, and her goal is to reach as many communities as possible to encourage increased social justice. She strives to promote educational, recreational and even employment opportunities for people of all abilities in and around Baltimore. It is her sincere hope that you join the Creative Chance family and find meaning, purpose, pure joy and happiness through each and every event Creative Chance holds! Thank you, it was a pleasure meeting you as well! I am definitely looking forward to more great efforts in the future!